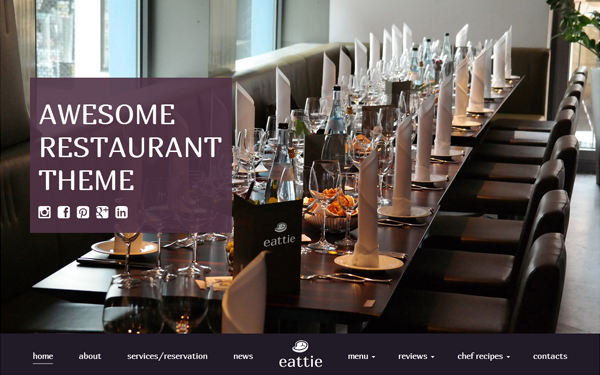 Eattie is professional HTML5 template for restaurants and cafes. We know everything starts with the guest. Finding and holding on this elusive creature is the most important factor in the success of any food serving facility. With this template it's almost piece of cake. Eattie has modern elegant design along with strong functionality. Have a look at Eattie's main features. 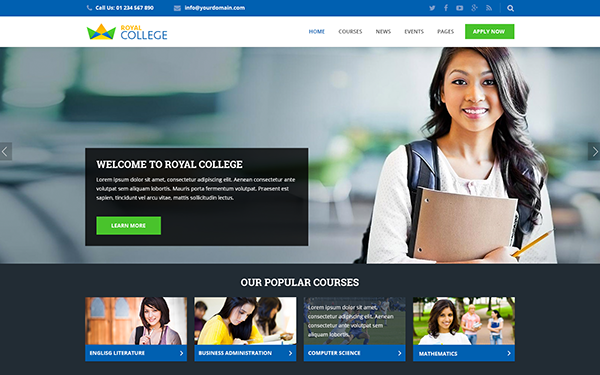 Royal is a 100% responsive, clean and modern Multipurpose HTML Template for Education which has all the features need to create a website for school, college, university, polytechnic institute and online course. Royal College is powered by the Bootstrap 3.3.7 Framework which is consistent across almost any device screen resolution. 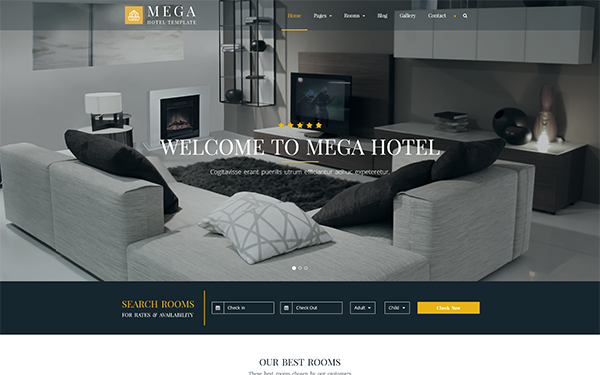 Mega is clean, modern, flat and responsive site template for Hotel Booking. This template based on Bootstrap 4.1.1. It's well designed and best for a hotel. It's coded with SEO friendly and it can be used any type of travel business. Tavern is a beautiful and multipurpose template. It is ideal for your business: restaurant, salon, hotel. Quality execution and attention to detail, coupled with clean code and thoughtful design. The template includes 39 high-quality pages, working twitter feed, image galleries, support parallax and video backgrounds. 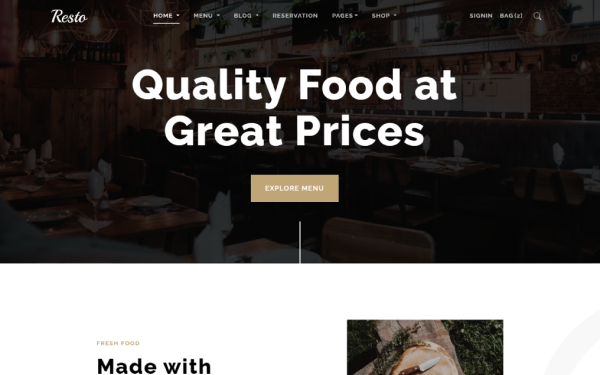 Resto is a premium, modern, responsive HTML5 ONE / MULTI page restaurant website template based on latest bootstrap4 latest version. The template is fully responsive and lot's of amazing features allows you to create a modern website fast and easy. Running a Restaurant? or have a website related to Food, Cafe, Bakery, Bar, Pizza, cooking and so on. 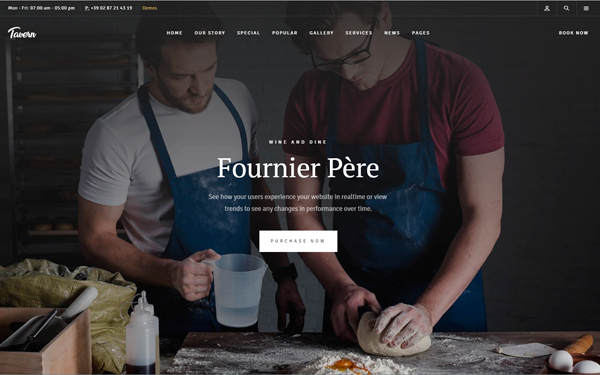 This template is a carefully crafted Restaurant Website Template to meet your needs.